1. God gave me a set of twins in 2015 and as if that was not enough ,he gave me a set of triplets in 2017 and as if that was not enough,he raised one of my dead triplet to live.....Is my God not Wonderful!! 2. I was born into a Muslim family; my parents said I will never marry unless I marry from their side, since I have become born again. I tried like four times and never came to pass. I came to Redemption and made 4 points of contacts using my father Pastor Adeboye as my lawyer. To the glory of God in July I got married and come next Holy Ghost congress, I will come with our children. 3. I got a dream job through prayers of Daddy and mummy G.O. 4. Hurricane Maria carried my car in Huston and Doctor told me I may not recover properly. I requested for Halleluya handkerchief and laid on my self. My recovery has been amazing. 5. I was supposed to have heart transplant in London, but I decided to come straight to camp from airport. I wrote our Daddy in the Lord and he replied God will intervene. When I went back again to London, the Dr. was temporarily made because he couldnt find any cancecerous growth in my heart again. Everrything is perfect and ai am looking younger. Praise the Lord. 6. Iam a female wrestler, I had schorlarship to study in Finland. Came back for African champion in Morocco, but there was no sponship for world event. 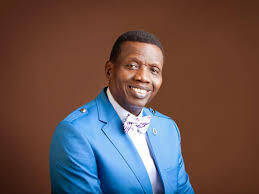 I wrote Daddy Adeboye and he provided for me to attend. I came eighth. Last week I participated in Gov. Wike Wrestling championship; this is my gold medal to show for it. I was born into a Muslim family, but since I gave my life to Jesus, he has made me a champion.